What do I need to bring with me for a collision repair estimate? Just the car and any information you have obtained from your insurance company, if you have contacted them. It is difficult, but if it is just a simple fix then sometimes we are able to write the estimate over the phone. 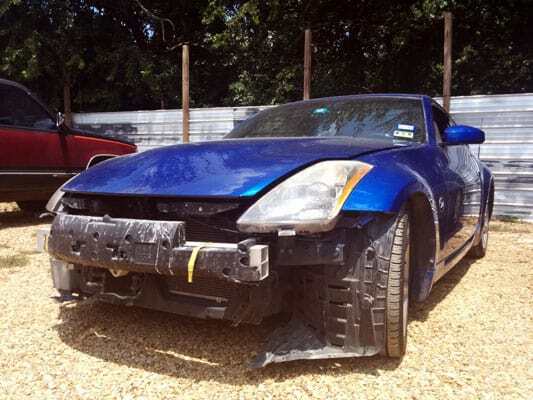 However, we will not guarantee the estimate without seeing the car and the damage in person. For instance, if you call and say you just need a new trunk lid we can tell you how much it will be to buy the trunk lid and paint it; however, if we then get the car and the trunk mount is also damaged or the car body under the trunk is damaged that will, of course, be more as we cannot mount a new trunk lid to a car that is no longer aligned. Please call Kelly Ward, and he will be glad to assist you. Can you do a mobile estimate even if the car is drivable? In some cases, yes. Just call Kelly Ward, and he can assist you with this. Where do I park for an estimate or dropping off my car? Just call Kelly Ward, and he will greet you as you pull in and show you where to park or take the car and park it for you. Our facility is gated and secure, so he will need to give you access. Can I schedule an appointment, drop off my car, and then have you write the estimate? Yes. Towing fees will be billed to the responsible party – either the owner or insurance company. What happens when my vehicle is towed to you? By this time, we would have already spoken to you and possibly your insurance company. If this is our first time seeing the car, we will assess the damage and get in touch with you, if needed, about the next step. Who pays for my tow bill? We will initially pay the tow driver on your behalf; later, either you or your insurance will reimburse us for towing. Both flatbed and wheel lift towing are available. The cost of any towing will be included in the final repair bill to the responsible party. If my car has been in an accident, is it safe to drive? Please call Kelly Ward at 1-214-228-0691, and he will guide you through this. It can be difficult to know whether or not your car will be safe without expert help. He will ask you the appropriate questions to help you figure out if it is safe and drivable or if a tow is necessary. In some cases, depending on location. Just ask Kelly Ward at the time you plan to bring your car. How clean does my car need to be for an estimate? It helps to be able to see all the damage. However, if you arrive and it is dirty, we will wash it off as needed. Not if something else is found that needs to be repaired or replaced. That could change the estimate. If you ask for something else to be done, that too could change the estimate. There are several factors involved. Kelly Ward can walk you through the process. Estimates vary from one shop to the next. Why is that? This can be for any number of several reasons: Different labor rates; quality of work; and overhead are the most likely causes. Our rates are very competitive, our employees have been with us for 23 years, our overhead is low, and our quality is unsurpassed in the industry. We offer a lifetime warranty on our labor, and we use only the best quality paint. That depends on the damage. Each car, truck and the damage done is different. You will get an estimated of time frame at drop off, or call Kelly Ward and he can help with that. Rockett Collision is quite fast in comparison to many other body shops. Can you pick up and deliver my car? If the car is legally and safely drivable, we can pick up the car within 70 miles of our shop. We can also deliver vehicles within that 70-mile radius. Towing services, however, will be at the expense of the responsible party – either the owner or insurance company. Will you report my repair to Carfax®? No, that is your insurance company’s responsibility. At this time, we accept cash or insurance check. If you need to pay by personal check, please let Kelly Ward know when you drop off the car. That is determined on a case-by-case basis. Kelly Ward will be glad to walk you through this process. In some cases where manufacturer parts are not available. However, we protect our customers and insist on quality parts regardless. Will you be using paint made by my vehicle’s manufacturer? No, auto makers do not make paint. 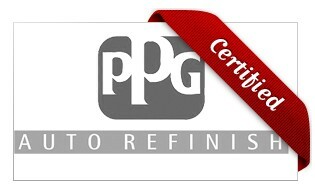 We proudly use PPG® products. Are you able to do pearl finishes? Kelly Ward is retired from the automaker industry and taught auto body paint for them. That is not a problem, as we are unsurpassed at paint matching. 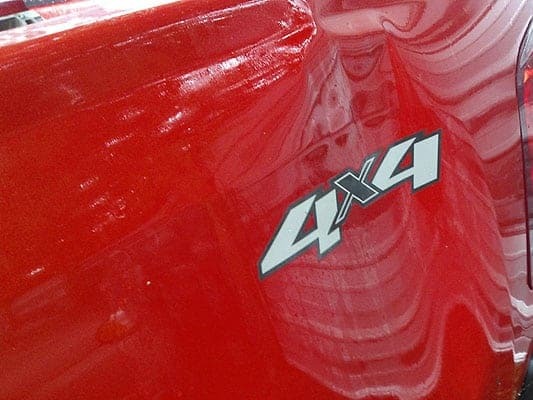 What is proper aftercare for freshly-painted vehicles? Expect completely normal use. We only use quality paint, and our work is of the highest quality. You won’t have to do anything differently than before. Do you offer rust repair? Do you perform state inspections or other routine maintenance? Monday-Friday 8-5 and Saturday 9-1. However, if you are in an accident and need assistance please call, and we will be glad to help walk you through the process. If we are unable to answer, we will call you back as soon as we can. Why do I need to come in for an estimate? So that we can accurately assess all the damage to the car and get you back on the road quickly and, most importantly, safely. Are you affiliated with any other collision center? No. Rocket Collision Repair is independently owned, locally- and family-operated. Will I need to pay upfront for paint or repairs? Absolutely not. Payment is not due until you get your car. If a shop cannot pay for paint or repairs without asking you for money up front, their business is on shaky ground and might be insolvent. Think twice about entrusting your investment with a shop that’s here today and may be gone tomorrow. 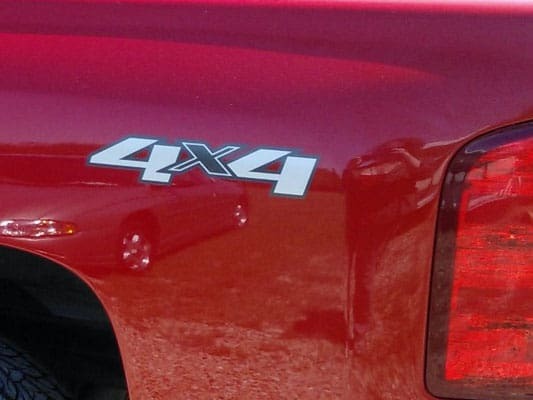 I’m considering buying a new used car, can you tell me if it has been repaired or repainted in the past? Yes and we offer this service free on premises; often we can come to you, please give us a call to inquire. 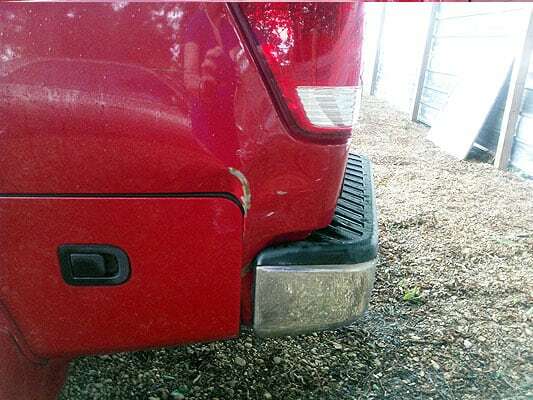 What’s the difference in Rockett repair vs. other body shops? 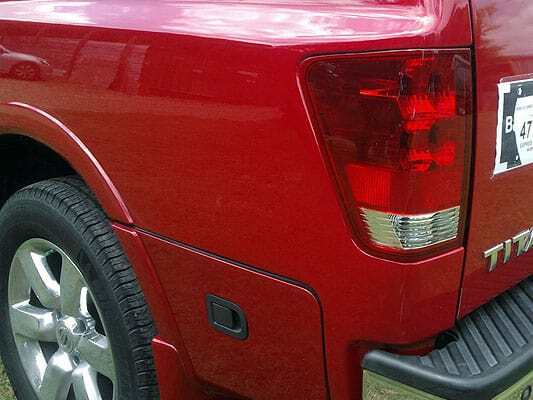 Many other shops tape off parts, sections and emblems rather than removing them to paint; this often causes raised lines, peeling and chipping of the paint. We never do this. We remove all parts before paint so that the entire part can be painted properly, as is specified by the manufacturers. This is also one reason we can stand behind our workmanship for life. Why choose Rockett Collision Repair over my local dealer? Offers pickup of vehicles that are legal and safe to drive, plus delivery within a 70 mile radius. Will Rockett give an estimate by phone or email? Because we must physically see a vehicle in order to write an accurate estimate, we do not write estimates based on emailed photos or descriptions given over the phone. Sometimes insurance companies do this; however, for most, one estimate is sufficient. We can usually meet or beat other like estimates. That’s great! Just bring it with the car. We work with all insurance companies. Yes, 972-617-0263 is our fax number. Not usually, however it can happen if they disagree with you about the accident or damage. You report your accident to your insurance company. Please read our accident step-by-step sheet to protect yourself. Can you file the claim for me? No. However, if you would like some help, please call Kelly Ward for assistance. Depending on the insurance company, some total at 60% of the vehicle’s value, some at 75% of value. Rockett Collision can help. Kelly will be glad to explain how the process works and possibly help you keep your car from being totaled if that is what you need. How do I handle my insurance check? That is on a case-by-case basis, depending on who the check is made out to. Please call Kelly Ward, and he can assist you in dealing with that as well. What if my insurance check lists a lien holder? Pick your repair shop before the check is issued, and this will not happen. Simply ask the insurance company to make the check out to the repair shop you’ve chosen. If you have a lien holder on the check, then usually you will have to submit the check and the proof (after the repairs) of repairs to the lien holder before they will release the funds. This review by the lien holder can often take ten days to two weeks or even more. This will delay the return of your car. In this case, if you have an insurance paid rental car, the insurance stops payment on the rental when the repairs on your car are complete, not when the check clears. Protect yourself by ensuring the insurance company pays the repair shop. How do I handle payment of my deductible? You will pay your deductible to Rockett Collision upon completion of the repairs. If the damage is minor, it will only take a few minutes. If the damage is severe, i.e. frame damage, it could take up to an hour. Another shop offered to waive my deductible. Will you? That is determined on a case-by-case basis but, yes, sometimes.